"Masyado naman ako pinaglalaruan. Masyado naman ako binabastos na... Masakit, tama na." 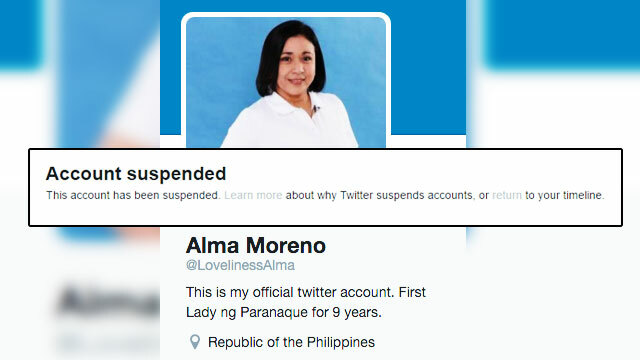 Nobody's going to get their daily fix from actress Alma Moreno's parody account anymore after Twitter suspended it on Wednesday night. Upon checking, the parody account with Twitter handle @LovelinessAlma redirects to a page which says "account suspended." In an interview with DZMM, Moreno admitted she did not enjoy the way it poked fun at her. "Masyado naman ako pinaglalaruan. Masyado naman ako binabastos na... Masakit, tama na," she said. It seems she has also reached her boiling point after apparently losing her senatorial bid. 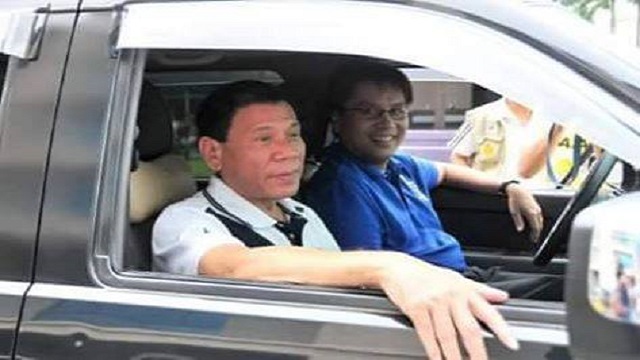 "Ewan ko kung sino yan na ayaw akong tigilan. Ano ba naman 'to talo na nga ako anong nginingitngit nito. Bakit kailangan akong maliin di ba, kung anu-ano pinaglalagay. Tama na," she said. This prompted her daughter, Winwyn Marquez, to report the parody account, which was conceived November last year, following Moreno's rather awkward Headstart with Karen Davila interview. @LovelinessAlma has since then been a source of entertainment for netizens, especially during the recent polls which saw the now-suspended account posting witty jabs regarding the proceedings.